The Student Director serves a two-year term. The Student Director is a member of the Board of Directors, representing the particular concerns and issues of AAR student members at large. In addition, the Student Director works with the Graduate Student Committee and serves on the Planning Committee. 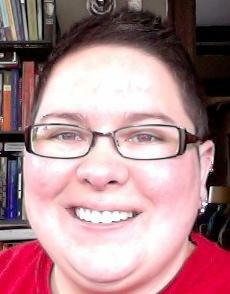 Elonda Clay is a doctoral student in religion and science at the Lutheran School of Theology in Chicago. She received a BS in physical science from Kansas State University, a MA in library and information science from the University of Missouri, Columbia, and a MDiv from the Interdenominational Theological Center. Her second master’s thesis explored the implications of the information society for United States African American churches, offering insights into how institutional and social practices continue to transform and be transformed by new media. Clay also attended the Summer Leadership Academy at Harvard Divinity School. Clay has presented several papers at regional and national meetings of the AAR. 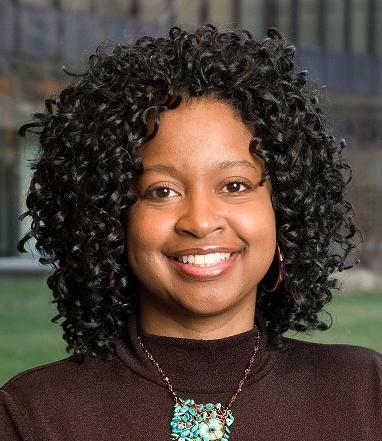 Her presentations and publications focus on topics including media, genetics, and identity; African American religion and ecology; and hip-hop and religion. Her dissertation research focuses on personalized genomics (DNA ancestry testing) in the media and its sociocultural implications for the meanings of race, ancestry, and African descent. Clay is a cofounder and steering committee member of the Critical Approaches to Hip-Hop and Religion Consultation. She has also served as a member of both the AAR Technology Task Force and the Ritual Studies Group steering committee. For the full century of its existence, the American Academy of Religion has been an organization that has both encouraged the development of exciting scholarship in the study of religion and served as a nexus for the professional development of religious scholars. The AAR is more than just an Annual Meeting; it is a yearlong resource to help members grow their potential as scholars, instructors, and public leaders. The AAR provides exciting opportunities to students as part of a wider community of active professionals that engage topics related to the practice of scholarship on religion. If elected, I would work to enhance what the AAR does to strengthen the public understanding of religion, research, and collaboration. I would also explore ways the AAR can facilitate the use of internet tools and Web 2.0 for multiple member activities and research. My platform demonstrates a commitment to diversity and inclusivity in terms of membership, theoretical perspectives, and methodological approaches. As I see it, the Student Director of AAR should have three primary practical goals: 1) Provide useful programming for students on securing employment during difficult economic times; 2) Create more opportunities that help student members build and benefit from mentoring networks; and 3) Expand support and inclusion for student members on the local and global levels. Considering the significance of regional meetings to student professional development, I intend to advocate for the preservation of these local gatherings. Internationally, I would like to help AAR become more responsive to the needs of an increasingly global membership. If elected, I hope to add at least one international contributor to AAR’s student-oriented publications during my term and to advocate for the eventual addition of an international version of the online publication Speaking of Students. While engaging the interdisciplinary settings of science and religion as a graduate student, I have observed vast differences between the mentoring practices of the sciences and those of the humanities. These mentoring differences and my initial involvement in the AAR Technology Task Force inform my vision behind the establishment of a Virtual Mentoring Network for AAR student members. I strongly feel that this challenge presents a vital opportunity to AAR as an organization that can reinvent mentoring frameworks for scholars of religion in the twenty-first century. The success or failure of graduate education is often related to reciprocal relationships between mentors and students. Considering our global environment, place should not limit these relationships. I see the Virtual Mentoring Network as one way the AAR can positively motivate and support emerging scholars and religion specialists as they begin their careers. Years of experience in information technologies, academia, and community service have equipped me with communication and technological skills that would help me work with others in advancing the interests, concerns, and needs of student members. There is plenty of work to be done! We can roll up our sleeves and be better prepared for shifting trends in the academy and other employment settings — together. Robyn Henderson-Espinoza, born of a Mexican woman and Anglo man, is a joint doctoral student at the University of Denver and Iliff School of Theology engaging the discipline of social ethics. She received her BA in religion from Hardin-Simmons University (2001) and a MTS (theology and ethics) from Garrett-Evangelical Theological Seminary (2006). Henderson-Espinoza’s master’s thesis was a systematic and chronological study of the theology of María Pilar Aquino. Henderson-Espinoza currently serves as the Graduate Coordinator of the University of Denver’s Latino/a Center for Community Engagement and Scholarship (DULCCES). In this role, she coordinates Latino/a Heritage Month for the University and works with faculty for Latino/a graduate student retention. Henderson-Espinoza will complete coursework and exams in Spring 2011 and propose her dissertation later in the fall. Following that, she will begin dissertation research and writing. Henderson-Espinoza’s scholarship pays particular attention to the ways in which the materiality of the body is a site for ethical discourse, and her scholarship is a contribution to queer ethics. Being a graduate student is akin to living in the Borderlands: we engage in multiple contact zones and are always in between conferences, articles, languages, and a life outside of academia. This is the space of the Borderlands and the very particular space of nepantla — the in between spaces. As graduate students, we learn to navigate this nepantla space by utilizing the multiple compasses we have: our advisor, thesis and/or dissertation committee, learning communities, and fellow graduate students within the larger profession. Because being a graduate student means the constant negotiation and navigation of multiple spaces and systems, I wanted to participate in the student mentor program facilitated by the joint PhD program at University of Denver and Iliff School of Theology. This program pairs returning students with incoming graduate students in order to assist the new students in navigating their graduate school process. Likewise, as the graduate coordinator for DULCCES, I work with Latino/a faculty to help ensure the retention of Latino/a graduate students across the university. Connecting students to learning communities, supporting these invaluable connections, and achieving success in graduate school are central to my process and a primary commitment to imagining mentoring practices. I believe that communities like AAR are extremely beneficial to the success of the graduate student. It is in this ethos that I believe community, relationships, and mentoring — all engaged at different levels — are also achieved. Faculty and students are able to come together around ideas to shape the discourse of religion (broadly defined) from a variety of perspectives. In as much as the theoretical conversations help shape the success of one’s research, the pragmatics of being a student are equally useful in one’s success in graduate school. Providing cohesion to one’s graduate school experience with the AAR graduate student programming is a goal of mine. I would like to see this graduate student orientation continue into a more pragmatic series of conversations. For example, every graduate student asks “How do I get published?,” “How do I survive first-year teaching?,” “How do I balance life and the academy?,” “What do you do when you are teaching beyond the ‘brick-and-mortar’ classroom?” I believe these questions should be central to the conversations with students while convened at our national meeting. I would like to continue to nurture the Roundtable Discussions in order for students to have the time and space to explore themselves and their work, and learn ways to engage the profession as they negotiate their scholarship. I would also like to see the Wabash Center for Teaching and Learning in Theology and Religion be a conversation partner with students. I imagine continuing the Special Topics Forum for next year’s Annual Meeting and finding ways to create conversations with junior scholars who have successfully transitioned from graduate student to faculty. Creating space for conversations around professional development with junior scholars and the transition from graduate student to faculty would be something that has great potential for living in the “in/between” spaces of the AAR. Bringing together graduate students who have tools to engage pedagogy and think pedagogically while in graduate school seems important, and it is my sense that bridging together junior faculty and graduate students in constructive conversations at Roundtables — much like the conversations that occur at the LGBTIQ lunch — would be invaluable. I would like to see “Scholarship and Teaching” become more of a cohesive unit for graduate students, and I believe the Roundtable Discussions and Special Topics Forums are great places to explore this potential. Having participated in the Hispanic Theological Initiate and also in the Human Rights Campaign Summer Institute for LGBTQ students in religious/theological study, the unity of these two programs is the aspect of mentoring and commitment to scholarship I hope to pursue. I believe the graduate student programming has the potential of nurturing this component of mentoring and highlighting the importance of relationality among students and the professional guild. I would like to continue this very important work. Being trained at an institution that focuses on mentoring, scholarship, and radical diversity and inclusion, I bring these commitments to this position and the AAR student community. I value the opportunity to deepen the conversations with the AAR student membership, and I look forward to the opportunity for a continued and engaged graduate community within the AAR as the new national Student Director.